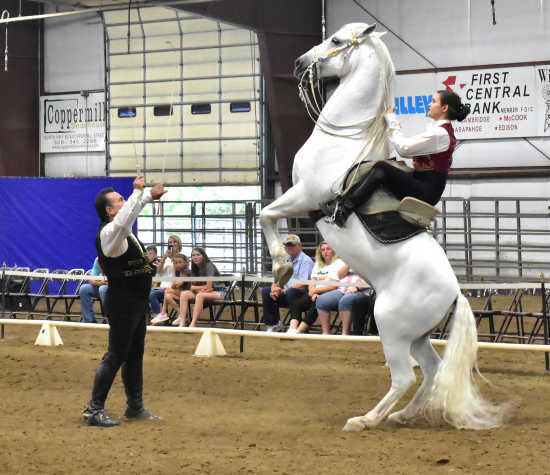 Rene Gasser explains that the movements of the “Royal Horses” — the Arabians, Friesians, Andalusians, Lipizanners and the Quarter Horse — that he and his riders showed at the Kiplinger Arena in McCook Saturday were born in times of war and on the battlefield. 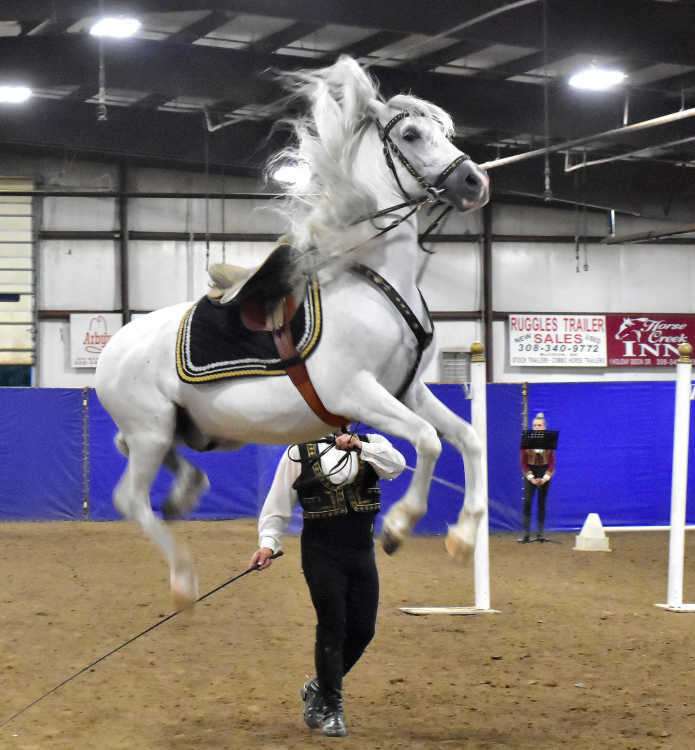 “Mozart,” with Gigi riding, demonstrated the “piaffe,” a state of balanced readiness, and Gasser and the young horse, Jerano, demonstrated a capriole, a movement that Gasser said riders used to inflict great injury with the horse’s slashing hooves on one’s enemies. 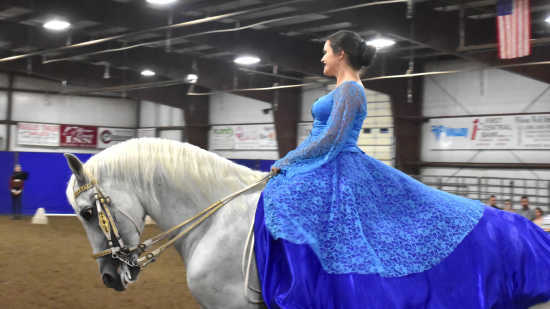 Aly Love, riding Bonavista, demonstrated the grace and pride and quiet gentleness of the horses.